Great news for those of you that live near the Oviedo/Winter Springs area of Central Florida! 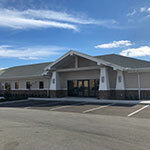 Many of the doctors in our group have started practicing at the new Oviedo Medical Center. We are doing deliveries (both scheduled sections and vaginal ), as well as surgery procedures including hysterectomies and minor gyn cases. Our Gyn Oncologists Dr Bryant and Dr Seward are doing surgeries there as well. The hospital is also offering maternity classes, including: childbirth, breast-feeding and newborn care. If you are interested in delivering at this hospital, talk to your providers when you are in the office and request more information about whether this would be a good place for you. If you have a high-risk pregnancy, you will likely still want to deliver at Winnie Palmer Hospital. Welcome to our new Gyn Oncologist, Dr Christopher Bryant! "My family and I love living in Florida. Together we boat on the chain of lakes. We cheer on the Orlando Pride. We ride Hulk at Universal more than the average person should. We face my fears on Disney’s Tower of Terror. There’s not a restaurant in Dr. Phillips we haven’t tried. We even wear our jackets in 70 degree weather. When you love what you have, and love what you do, you have everything you need." He is an amazing surgeon who we have had the pleasure of working with for several years at Winnie Palmer Hospital. 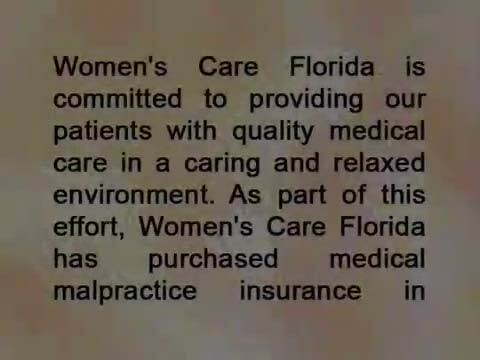 We feel very fortunate to be able to refer our patients to him as part of our Women's Care Florida group. We know that you will love him as much as we do! Dr Bryant is seeing patients at our multi-specialty center in Baldwin Park. Call us for a referral. We would like to welcome Dr. Shannon Hahn to our practice! Dr. Hahn has a commitment for providing the highest quality care for women and specializes in general obstetrics and gynecology. His special interests include high risk obstetrics and minimally invasive gynecologic surgery, utilizing both laparoscopic and DaVinci Robotic approaches. 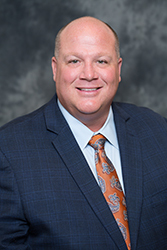 Dr. Hahn joined our group in 2017. He enjoys going to theme parks and the beach in his free time. Dr. Hahn resides in Lake Nona with his wife. He practices exclusively at Winnie Palmer Hospital for Women and Babies, and cares for patients at our Winter Park and Lake Nona offices. Dr Michelle Rothen. She is a busy mother of two kids, but finds plenty of time to listen to her patients ....and has a heart of gold! She has been with our group since 2013. You can see Dr Rothen at both the Winter park and Oviedo locations. This week we are highlighting Dr. Shawn Lee. He has been in practice with us since 2015. Dr Lee is available to see patients at the Winter Park and Lake Nona office locations by calling (407) 644-5371.